There are some state parks where you stop, get out of the car, maybe use the public restroom, walk around a bit to stretch your legs and the leave within 20 minutes. Maybe it has an interpretive plaque or trail, maybe one of the incredible stunning views that are scattered throughout the state, but overall it’s a pretty short experience. Then you have parks like Fort Stevens on the Northern Oregon Coast. This park is more than 4,000 acres, 4,247 to be exact, and has several different areas. To see the entire park would take more than a day, and with a campground inside the park, you could justify staying in the park to see all that it has to offer. 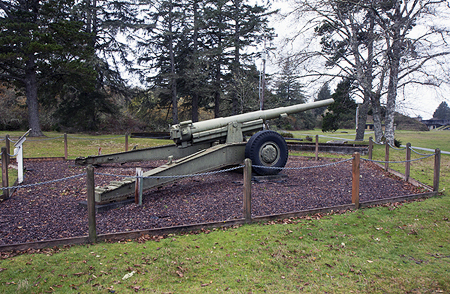 My trip to the park was only a day trip, so I didn’t get to see everything in the park, and in fact, I have plans to visit it again to write about the historic Fort Stevens site, where the barracks, main gun battery and even a museum now sit. This portion of the park is a short drive from the main entrance of the park, and during my stay I didn’t have time to see it. That is the first piece of advice I would have for anyone visiting this park, take the 20 minutes and visit the ranger station at the main entrance of the park. In other parks you can get away with skipping talking to rangers (as long as you have an annual Oregon State Park pass), but at Fort Stevens the rangers can provide maps, advice and event tell you about current conditions in different areas of the park. The stop I made at the ranger station was invaluable to realize that this was a more than an hour visit to see the park, and I was able to best utilize the time I had, thanks to the helpful ranger. Once you have your game plan and map, finding your way around the park is very simple, there are two main roads that run north and south, and taking your time at each area you get a good sense of what the park is about. The first stop I made was at the wreck of the Peter Iredale. There is beach access and you can see the wreckage of the Peter Iredale – which ran aground in 1906. Parts of the hull are still visible, sticking up from the beach, and it acts as a stark reminder of just how dangerous the Columbia River Bar is. The bar is at the north end of the park and there is a lot of historic information about how dangerous the bar is that can be found at the Columbia River Maritime Museum in Astoria. At the park there is some information in an interpretive plaque. Our next stop was Battery Russell. That’s right, Fort Stevens was actually a military base which was the primary military defense installation at the mouth of the Columbia River. It was also the first United States mainland military base to be fired upon by a foreign power since the War of 1812. During World War II a Japanese submarine, I-25, in June of 1942, fired for around 20 minutes at the base before submerging and disappearing in the Pacific. Today the base is abandoned, but the huge concrete batteries still remain and you can climb on them and look around. The ranger station has many historical pamphlets on the base, and they can make for great reading while you are visiting. Our next stop during our visit of the park was a wildlife viewing platform located at the North end of the park. It looks out over the south jetty and was great to view a storm coming in. During different seasons you can watch all types of birds and other wildlife from the platform, but while we were there is was very stormy and seeing the waves crash into the jetty was amazing. The platform isn’t covered, so if you are going to visit, make sure to dress appropriately, and having a good set of binoculars or a telephoto lens for your camera is very useful. All around this area of the park are hiking and biking trails, many of which are paved and very easy to get around on. In fact there are 9 miles of paved bicycle trails and 6 miles of hiking trails , making this a great place to explore during the spring and early Fall. While I’m not a huge camper, I can say that of the state parks I have visited, this is one park that would be worthy of an extended stay. The park does have around 170 full-hookup sites for RVs, more than 300 electrical sites with water, six tent sites, 15 yurts, 11 deluxe cabins and flushing toilets and hot showers. So if you are going to visit this park, don’t make the mistake I did and give yourself plenty of time. About Fort Lewis State Park: Fort Stevens was once the primary military defense installation in the three-fort, Harbor Defense System at the mouth of the Columbia River (Forts Canby and Columbia in Washington were the other two). The fort was in service for 84 years, beginning during the Civil War and closing at the end of World War II. Today, Fort Stevens has grown into a 4,200 acre park offering exploration of history, nature, and many recreational opportunities. Camping, beach-combing, freshwater lake swimming, trails, wildlife viewing, a historic shipwreck, and a historic military fort make Fort Stevens a uniquely diverse park. The park also boasts a network of nine miles of paved bicycle trails and six miles of hiking trails that allow you to explore a variety of habitats including spruce and hemlock forests, wetlands, dunes, and shore pine areas. Coffenbury Lake has two swimming areas, a picnic area, restrooms, and a boat ramp. Two neighboring, smaller lakes are great for fishing and canoeing. Throughout the year, you can browse through displays ranging from the Civil War to World War II at the military museum and information center, walk through the only Civil War era earthen fort on the west coast, or explore the many turn-of-the-century, concrete coast artillery gun batteries. During the summer, take a tour underground through a rare gun battery that also served as a World War II command center, ride in the back of a period military transport truck and see the fortifications from a whole new perspective, or get a feel for what the inside of a military jail was like as you walk through one of the last brick constructed guard houses in the country. What to bring: Sure there is always the advice about being dress appropriately, but the biggest challenge of this very interesting state park is time. Tip: If you don’t camp – and I totally understand if camping isn’t something that appeals to you – there are several options to make sure you get enough time at this wonderful, expansive state park. First of all, the deluxe cabins in the park are hardly “roughing it.” Secondly, the park is about 20 minutes out of Astoria, so finding a nice bed and breakfast and taking a drive into the park isn’t out of the question. Getting there: The address of the park is 100 Peter Iredale Road in Hammond, Oregon. The park is well off Highway 100, and make sure to visit the main ranger station for directions and tips to get around the park.